It was a good day for the U.S. president. It wasn’t, legal scholars say, a “complete and total” exoneration, as Donald Trump claimed in a tweet on Sunday. A summary released on Sunday to Congress of the main findings of Special Counsel Robert Mueller’s report found that Mueller’s office had insufficient evidence to establish that Trump’s campaign conspired with the Russians to beat Hillary Clinton in the 2016 election. The Justice Department and the Special Counsel’s Office did not charge the president or his family members with any criminal wrongdoing. Crucially, they did not charge anyone with collusion related to the election. But when it came to obstruction of justice, Mueller explicitly did not fully absolve the president. So his superiors at the Department of Justice did it instead. 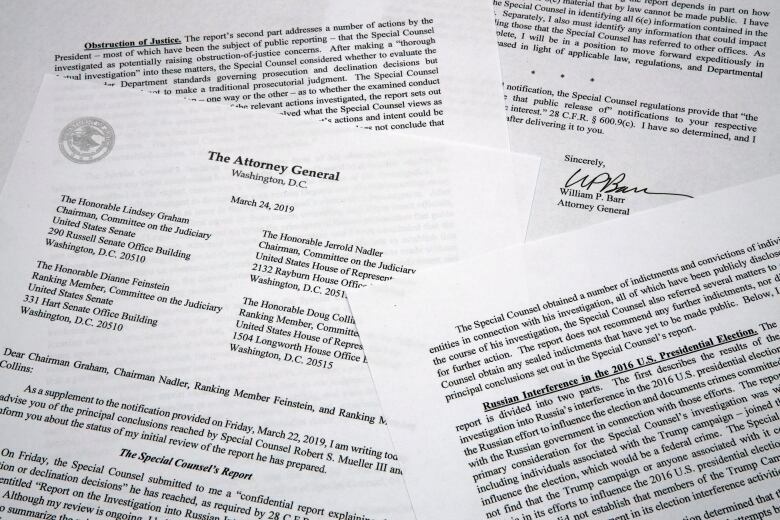 In his four-page summary of Mueller’s confidential report, U.S. Attorney General William Barr wrote that Mueller “sets out evidence on both sides of the question” of obstruction of justice. Put another way, Mueller left open the possibility that Trump obstructed justice. “The Special Counsel states that ‘while this report does not conclude that the President committed a crime, it also does not exonerate him,'” Barr wrote. “By those words themselves, this is not an exoneration,” said Harry Sandick, a former assistant U.S. attorney for the Southern District of New York. 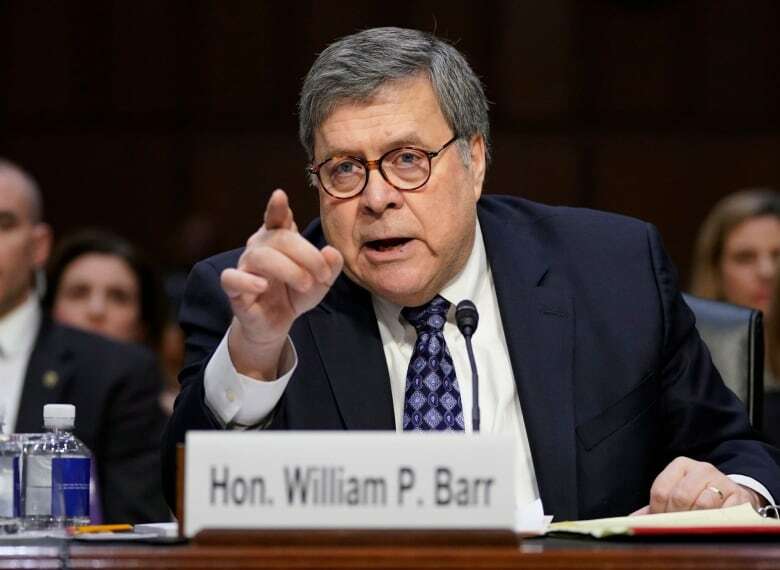 “For me or anyone to have an informed opinion on the substance of whether that opinion by Barr … is right, you need to know more about the evidence,” Sandick said. Congress may still consider Trump’s conduct to have been a high crime or misdemeanour. Michael Zeldin, a former assistant to Mueller at the Justice Department, said the special counsel was communicating it was a “close call” on whether to prosecute for obstruction. “I think it relates to the question of whether or not you can obstruct justice if you’re the president when you do something which you have the constitutional right to do,” Zeldin said. Trump’s backers have argued, for instance, that the president has the executive authority to fire anyone, including his former FBI director James Comey, who was leading the original investigation into whether Trump campaign members colluded with Russians to influence the 2016 election. On that issue, Mueller’s team may have been deadlocked on whether to pursue prosecution. Barr, a Trump appointee, said in his letter to Congress that he reached the conclusion with Deputy Attorney General Rod Rosenstein, another Trump nominee. In his summary, Barr said the lack of conclusiveness from Mueller “leaves it to the attorney general” to weigh in. For now, Mueller has said Trump didn’t commit a crime. But the facts don’t fully exonerate him either, opening the door for Congress to investigate the president’s conduct. House Judiciary Committee chairman Jerry Nadler on Sunday called for Barr himself to testify. As for collusion, that question appears to be more settled, though not completely so. Still, a probe that “did not establish” enough evidence to meet the Department of Justice’s high burden isn’t quite the same as Mueller’s team saying they don’t believe collusion occurred. Rather, it might merely suggest the special counsel fell short of establishing proof of criminal activity that’s beyond a reasonable doubt. Congress, which is launching its own investigation, has no such burden when it comes inquiries into abuse of power and abuse of office. And, judging by Democratic House Majority Leader Nancy Pelosi’s tweet that Barr’s summary “raises as many questions as it answers,” demands for the release of the full report, as well as possible subpoenas for Mueller to testify, are just beginning. Was the Mueller report a ‘total exoneration’ for Trump? U.S. politics panel weighs in on The National.